In this diary entry, Thomas again refers to Mussolini, this time in the context of his attitude to France. The Fascist Grand Council is not a pejorative term, it is actually what the main governing body in Italy was called at this time. Concerns about the state of Britain’s rearmament were uppermost in many people’s minds at this time when war seemed more and more likely with each passing week. 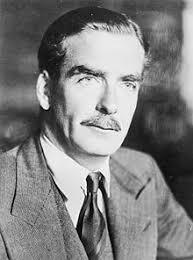 Anthony Eden had resigned as Foreign Secretary in 1938 as a protest against the Prime Minister, Neville Chamberlain’s policy of coming to friendly terms with Italy. Eden regarded Italy as a threat and a potential enemy and remained a dissenter within the Conservative party whilst Chamberlain was Prime Minister. Thomas’s comments about the Maginot Line are strangely prophetic. The Maginot Line was a series of fortifications sited near the French border with Germany built in the 1930s to deter invasion by Germany. 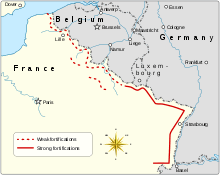 In 1940, the German forces did indeed overcome this obstacle and France was occupied by Germany until the end of the war. Thomas comments once again on the end of the Spanish Civil War. He professes to ‘lean more to Franco’ in his support of the anti-republican side in the conflict but as in a previous diary entry, he is doubtful as to whether it is possible to judge the situation given the information at his disposal. Of course Thomas was right to be hesitant, as Franco was an ally of Hitler in everything but name and was a ruthless oppressor of the Spanish people for many years.